Shenzhen Sunrise Electronic Co., Ltd. is a professional manufacturer in the filed of CCTV accessories product, we located in Shenzhen, China, and established in 2000. We design, develop, manufacture and market a full range of CCTV passive/active video balun, screw terminal series, CCTV audio/video cable, connectors and DC power splitter, etc. 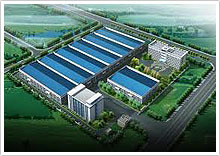 We mainly export the goods to Asia，Europe, South and North America. Sunrise has long been recognized for the integrity of its work and an unwavering commitment to quality and excellence. By more than 10 years experience in oversea market, Sunrise has received vendor cognitions from clients all over the world. We have own a 1,000㎡ factory in Shun De with five production line and about 100 staff. We have R&D Department in factory, so our engineers could release the new product as per the requirement from clients all over the world. You can benefit from our wide selection of innovative electronic product.